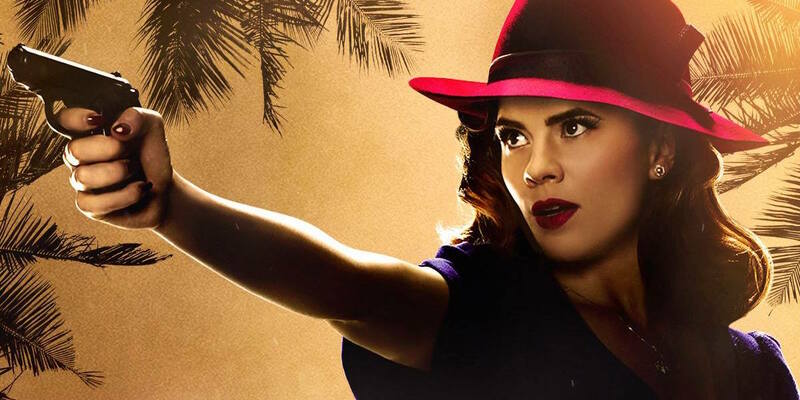 I just finished up Agent Carter Season 2 and overall it was kind of a disappointment. Season 1 grabbed me and held my interest for the entire season. Season 2 feels like they wanted to make a movie and stretched it out into ten overly long episodes instead. It doesn't feel like they actually were trying to write it as a TV show. The episodes flow together but no individual episode actually has a good payoff and it bugged me a lot. The end of each episode felt very arbitrary. I forced myself through the season because I enjoyed the first one so much but I didn't really like it. I would love to see them take another swing at the franchise for a third season as long as they don't follow this format again. Season 2 was a big letdown. Season 1 I loved. Season 2 my wife and I got about halfway into and then just... stopped watching. Last week we finally binge-marathoned the 2nd half of the season and ... it was all right, I guess. But while I was looking forward to season 2, I just don't care if there's a season 3. If they can make a season 3 that feels more like season 1 I would be all for it!